It’s been a busy week for me, I really should be packing my art to set up my show for the weekend. Don’t forget to stop in and and see me if you are in the area !! I wanted to show you a teaser for the pics I took at the opening night for Zoolights at the Oregon Zoo last week. This weekend I will have the rest for you, including the Alligators, Elephants, Butterflies and Giraffes. So, for your viewing pleasure, I give you these! 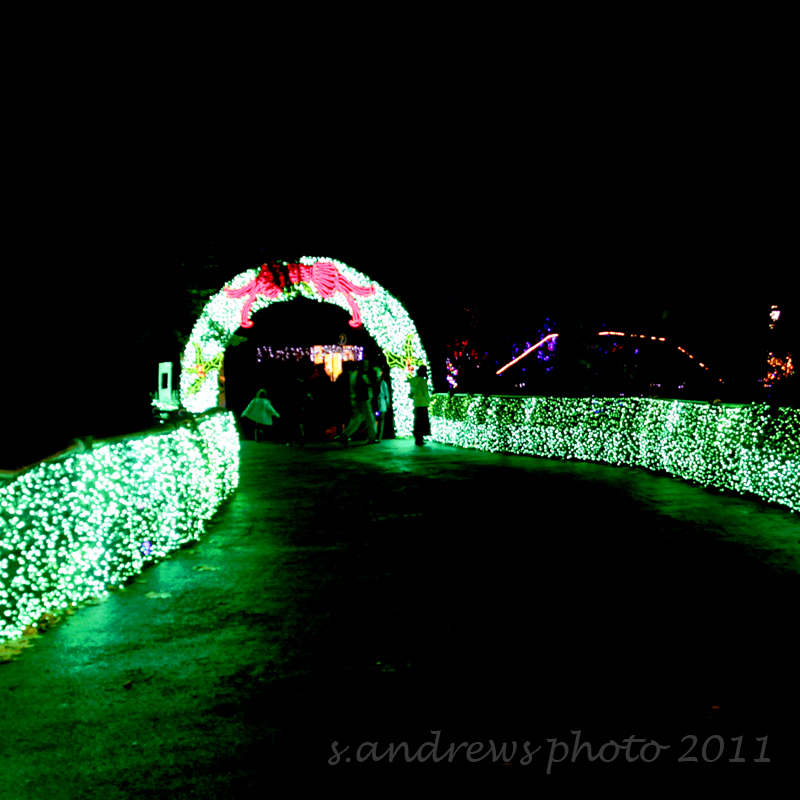 The entryway to the main part of the zoo, they lit the bridge in green led lights. 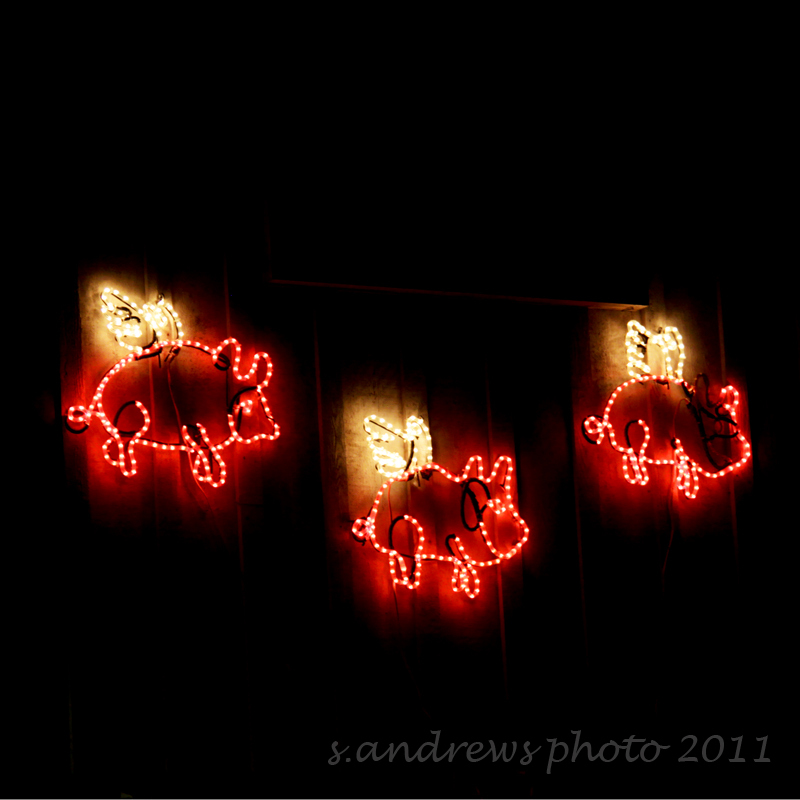 Who doesn't love Flying pigs? They were on a barn in the Farm exhibit. 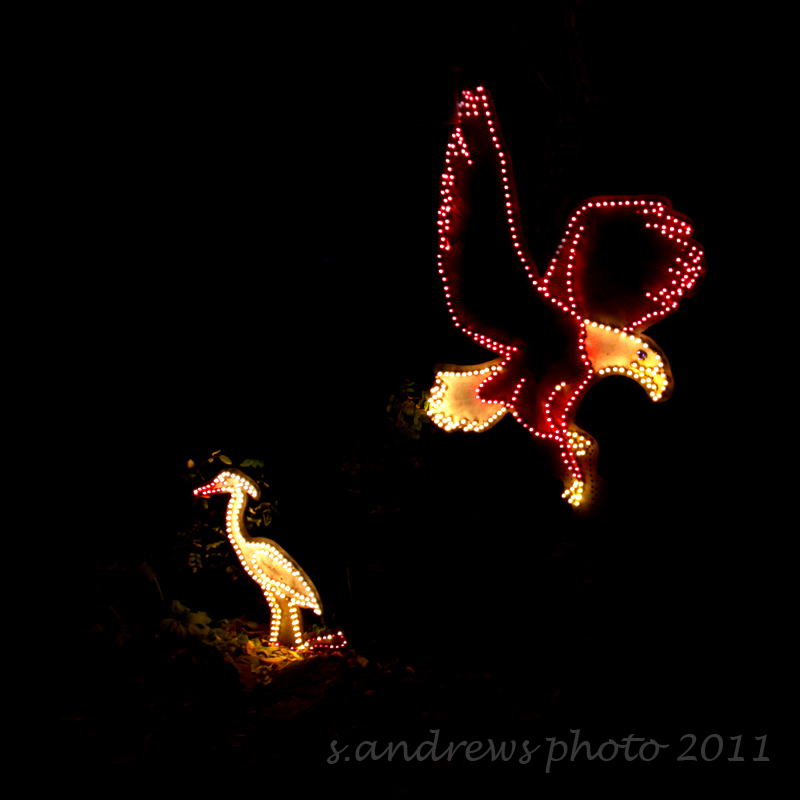 This entry was posted in Oregon, out and about, photography and tagged Christmas, Christmas Lights, Eagle, Great Blue Heron, Green, Oregon Zoo, Portland, zoo lights.